Nature’s EQ (Nature’s Equilibrium) is the home for Naturopaths where all the natural techniques and integrated systems of health come together. Our ethos is to bring equilibrium to our mind, body and spirit using a range of natural techniques and methods to help us evolve into the complete person we were intended to be. We take pride in hosting the finest professionals in the field who are passionate about their work and in making a difference in the community’s health. 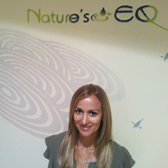 Nature’s EQ has been created after years of research, studies and experience with different naturopathic techniques worldwide by its owner, Silvia Candamil Neira. 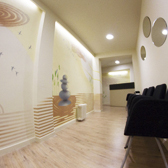 Based on her vast expertise, all her extensive practice and global network of likeminded people, it has naturally led her to open her own practice in Madrid to provide the highest professional standard and care within the Naturopathy in the region. Nature’s EQ takes great pride in being able to offer a global yet totally personalised and integrated service. In consistency with the Centre’s philosophy, our incredible team of professionals excels in their respective field and in the quest for constant betterment and improvement of the self and their patients, with a strong sense of determination to achieve a high level of client satisfaction and excellence.